Remember as a kid when you got sunburnt and your Mom used the aloe vera gel to sooth it? Fast forward to today and aloe vera is a popular medicinal plant used in the cosmetic, pharmaceutical and food industries. 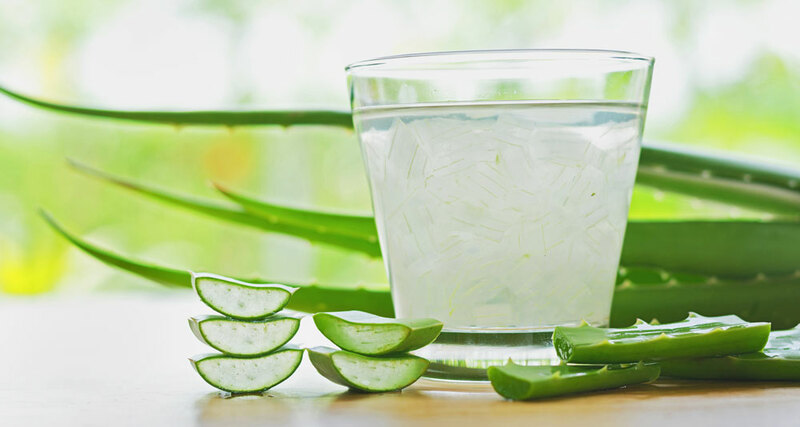 The two most common ways to consume aloe vera is through a supplement source or a juice. Let’s explore what the heck is aloe. Technically aloe is a succulent perennial and drought-resistant plant, where the leaf consists of 3 layers: gel, latex and rind (1). The gel, specifically, is known for its role in treating burns, as well as other skin conditions, by applying it to the skin. However, some people also ingest the aloe gel. Among the 400 species of aloe, aloe vera is considered to be the most potent, where the aloe vera gel contains various nutrients, including amino acids, vitamins (including A, C, E, B1, B2, B6, B9, choline) and minerals (including calcium, chlorine, chromium, copper, iron, magnesium, manganese, phosphorus, potassium, sodium and zinc). In the mass media aloe vera gels, supplements and juices are poised with potential health benefits ranging from immune health to heart health. These claims may sound promising, albeit aren’t backed up by numerous credible sources and research. The scientific investigation is minimal; however let’s take a look at some of the studies. Aloe vera is well known for its anti-inflammatory properties. According to a 2004 study (2) aloe vera gel may have an effect on inflammatory bowel disease, specifically active ulcerative colitis. In this very small study, 44 out-patients (22-76 years of age) agreed to consume either 100 mL of aloe vera gel or placebo twice daily for 4 weeks. Overall results showed that aloe vera “produced a clinical response more often than placebo”. According to a 2016 systematic review and meta-analysis that was published in the Journal of Clinical Pharmacy and Therapeutics (3) aloe vera showed a promising effect on prediabetes and a potential effect in type 2 diabetes. The systematic review and meta-analysis consisted of 8 randomized controlled trials (n=470 patients). The results showed that aloe vera improved glycemic control in prediabetes and type 2 diabetes: In prediabetes, aloe vera lowered fasting plasma glucose; and in type 2 diabetes, there was a promising response in fasting plasma glucose and HbA1c. Another study that was published in the Indian Journal of Life Sciences in 2014, aloe vera juice might also have an effect on cholesterol and triglyceride levels (4). In the study, 100 subjects (25-65 years of age) were divided into two groups: normal (control) group and study (diabetic) group. The study group was then further divided into diabetic and diabetic retinopathy subjects. The groups agreed to consume 60 mL of aloe vera juice daily for 30 days. After 30 days, the results showed a significant decrease in the following: 1) Blood sugar levels in diabetic subjects (190.1+/- 24.4 to 154.3 +/- 15.38); 2) Total cholesterol in both normal subjects (from 192.8+/- 21.6 to 171.4 +/- 17.53) and diabetic subjects (from 242.6 +/- 33.4 to 195.8 +/- 26.4); and 3) Triglyceride levels in both normal subjects (113.4 +/- 20.04 to 87 +/- 18.92) and diabetic subjects (212 +/- 49.38 to 162.7 +/- 24.32). Consuming the gel of the aloe vera plant is considered potentially safe; however, we don’t know the exact dose response relationship, toxicity levels or the effects of long-term use. Consuming the aloe plant latex is unsafe. When the latex is consumed potential side effects include: allergic reactions, stomach pain, cramps, diarrhea, kidney problems, blood in urine, low potassium levels, muscle weakness, weight loss and heart disturbances. Aloe (gel or latex) is not recommended while pregnant or breast-feeding. Remember no single food or ingredient will instantaneously be a silver bullet for immune or heart health. A lifestyle filled with healthy habits including a balanced dietary pattern, exercise and restful sleep is the best approach for long-term consistent health. Maan A, Nazir A, Khan M, Ahmad T, Zia R, Murid M, Abrar M. The therapeutic properties and applications of aloe vera: A review. Journal of Herbal Medicine. 2018. 12: 1-10. Suksomboon N, Poolsup N, Punthanitisarn S. Effect of aloe vera on glycaemic control in prediabetes and type 2 diabetes: A systematic review and meta-analysis. Journal of Clinical Pharmacy and Therapeutics. 2016; 41(2): 180-188. Soni Y, Mochi R, Gahlot G. Effect of aloe vera juice on diabetic and diabetic retinopathy subjects. Indian Journal of Life Science. 2014; 4(1): 41-45.